To some people, a chorus of birds singing out from the trees may sound like indistinguishable noise. To Juan Pablo Culasso, the calls are as clear as a beloved piece of music. The 29-year-old is legally blind, but his remarkable hearing abilities allow him to identify over 720 species of birds and 3000 unique bird sounds, Phys.org reports. He first discovered his rare talent while throwing stones into a river with his dad as a kid. Culasso could identify the exact note of each rock as it made contact with the water, an indicator of perfect pitch. Only one in about 10,000 people has this ability. Culasso didn't end up pursuing a career in music, but his gift has come quite in handy as a nature recorder. The love of birds started when Culasso started listening to bird call cassette tapes he'd found in an encyclopedia at home. In 2003, the teenager embarked on his first professional venture into the study of birds when he accompanied an ornithologist on a field visit. He was handed a sound recorder and the rest was history. Since then, Culasso has recorded nature sounds from around the world, including sea lion calls, melting arctic ice, and countless bird songs. 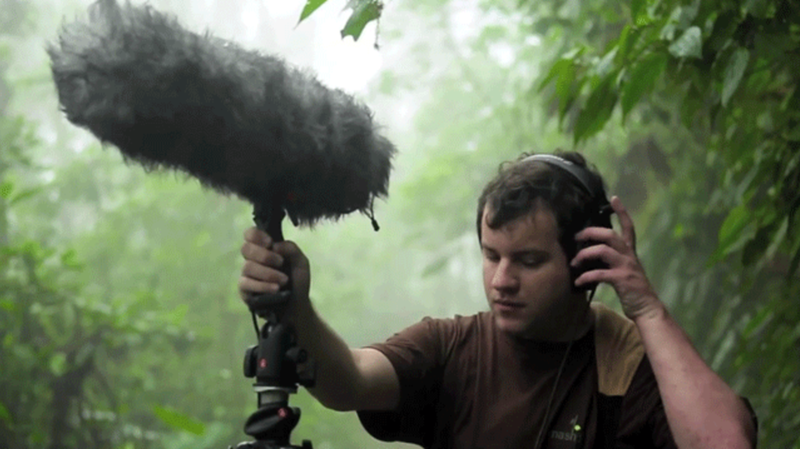 His sound work appears in documentary soundtracks and in 2014 it earned him $45,000 in a Nat Geo TV competition. Film and TV aren't the only places you can hear Culasso's nature recordings. Clips of bird calls from 194 species are currently free for anyone to listen to on his website, and his nature albums are available on iTunes. You can also see him in action below.